When setting up a website for your small business you will need to decide on a domain name. Your domain name will be your website’s specific internet address. It is like a business name but it does not have to be your exact business name. You don’t own your domain name but you can register it and, provided you keep your registration up to date, you have the exclusive right to use it internationally on the internet. Your domain name should ideally include keywords specifically targeted towards your business. 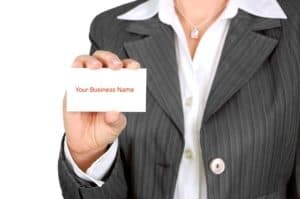 It does not have to be an exact match to your business name and, in some cases, it may in fact be better if it does not. There are also different rules and regulations to consider depending on the top level domain (eg. .com or .com.au) that you wish to register. Which is the best domain name for my business? Should I choose a .com, .com.au or other top level domain? How do I find out if my chosen domain name is available? How much does domain name registration cost? How do I actually register my domain name? How long do I get to use my domain name? What happens if I forget to renew my domain name? We can provide help or advice when choosing and registering your domain name. We will use keyword research specific to your business to develop a list of domain names for you to choose from. This service is included in all our website design & build packages but can also be billed separately if you wish. Once we have created a list of domain names we can register your chosen domain name and, if you wish we can manage your domain name to ensure that you never lose it. Call us today on 0403 155 921 to discuss the best domain name options for your business.